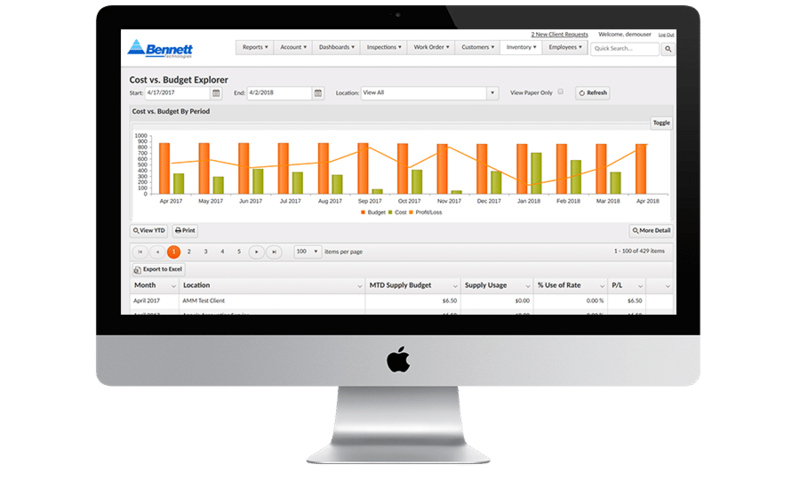 Learn how this Work Management System Will Track Performance and Provide Insight. Janitorial Manager is designed by janitors for janitors and is built and maintained by our internal software programmers. This enables us to quickly add new functionality and features to meet your evolving needs. 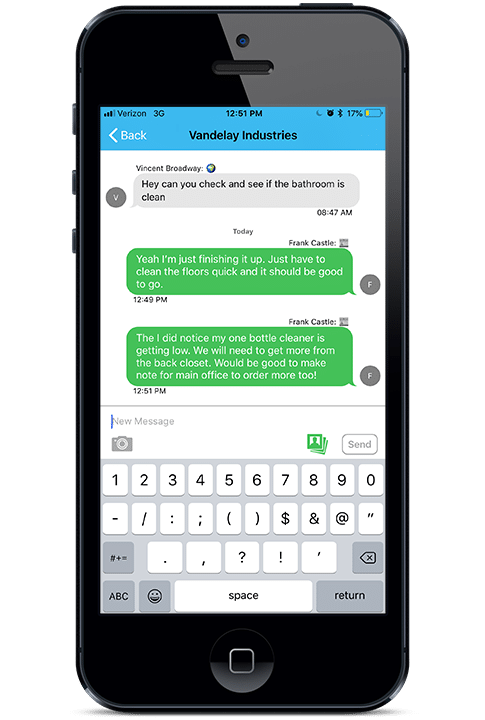 Keeping connected with your staff is important to effective cleaning. JM Connect gives you the ability to message individual employees or groups of employees as well as individual customers or groups of customer locations. Each employee can access the cleaning instructions/checklists and can submit location specific supply requests. Job bidding made easy! Janitorial Manager is integrated with the ISSA 612 Cleaning Times available to build a detailed customer facility records (locations, buildings, floors, rooms – usage type, floor type, fixtures. We can also calculate labor cost as well as generate accurate customizable cleaning bids for new potential customers. Part of the cleaning industry is keeping your client involved to make sure cleaning is properly taking place. Janitorial Manager’s Client portal gives you this ability. 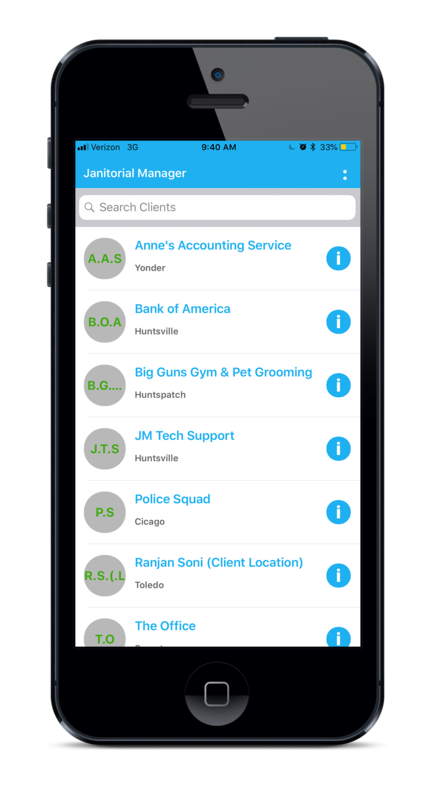 Each client now has their own portal, multiple locations available, with one login. This gives clients the power to request services, supplies, provide feedback and/or inspection reports. The client can also request progress tracking to stay up to date with progression. Do you manage time-based projects and everything they entail? Janitorial Manager’s Project management feature helps you plan, set up requirements, plan a time/Schedule, look at cost, resources, communication, logistics, quality and change of control. There are two options for time tracking for Janitorial Manager. The time tracking feature is a recent addition to JM. You can now clock-in and clock-out from a landline or our app with geo-location. Other added functionality include missed punch alerts, scheduling, and reporting. We are also integrated with Chronotek to help you with your time tracking needs. Unlimited inspection templates make doing inspections easy! You can create an inspection template for a specific location or just use the generic template provided to you. 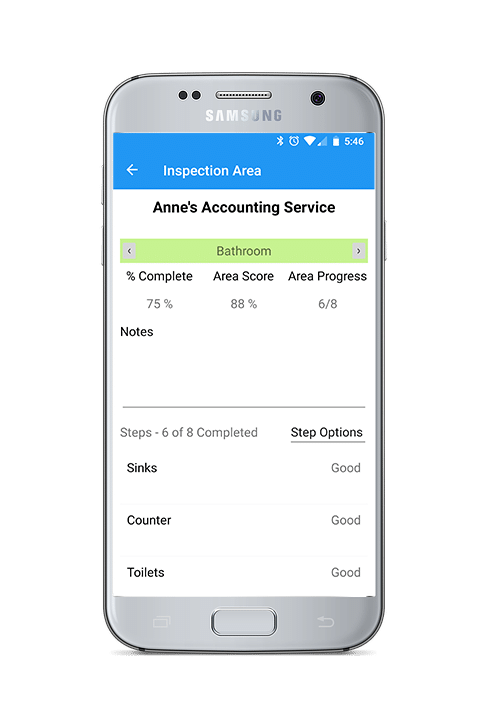 If you want/need to schedule routine inspections, you can make sure your cleaning services are being completed accurately and get real-time reporting on those inspections. 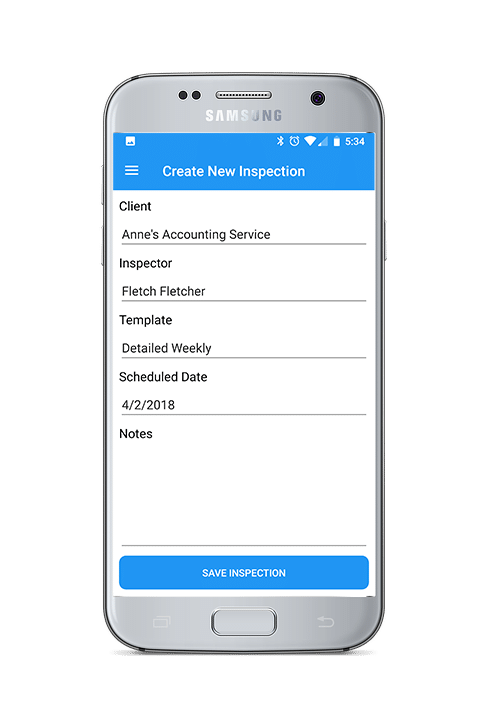 With our Inspections App (available in the Google Play Store and Apple Store), you now have the power in your hands to execute those scheduled inspections right from the job site on your phone or tablet. You can also use the app to take pictures during an inspection to properly document the inspection. Work order management gives you the ability to create recurring work orders for your customers, or one time orders. This feature also allows you to put tracking and budgeting in your hands. It allows you to track labor, supply costs, and revenue on the work order. Inventory management is an important part of running any company especially a cleaning company. 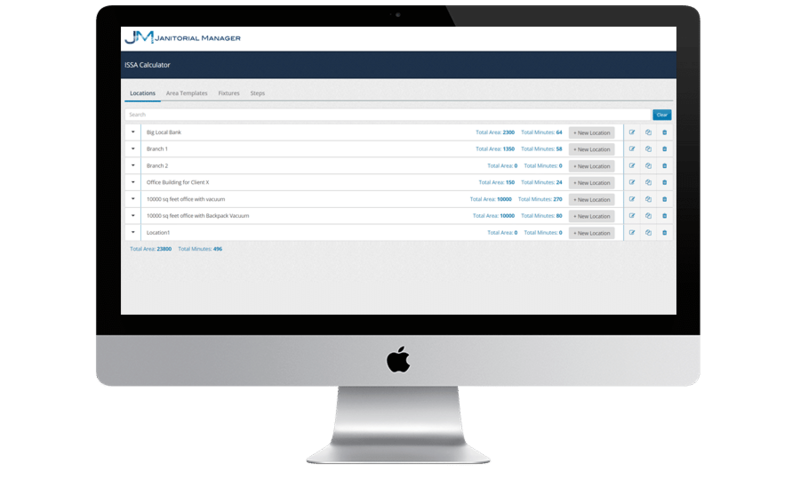 JM helps you manage all supplies and equipment while tracking inventory on hand. This feature also helps you track and manage inventory budgets per location as well as managing supply requests from staff and clients. Creating a recurring work schedule can be difficult to maintain but look no further. Janitorial Manager makes it easy to maintain and change. You now have the power to not only manage employees scheduled work schedule but now you can make the reminders location-specific so you know where each employee is currently at. This scheduling feature also comes with the Scheduling Reports to see a summary of your past schedules and future schedules. Capturing employee performance can be difficult sometimes. 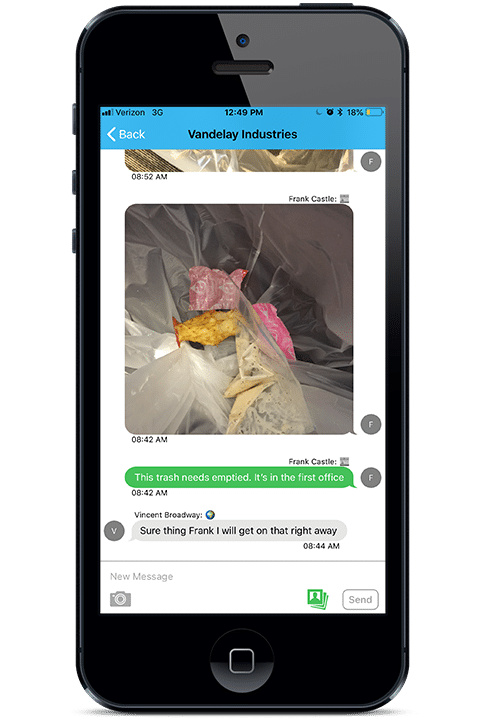 Properly capturing and reporting employee performances can be difficult but you can now report these issues via any mobile device. These performance reviews are customizable depending on what your preferences. The information about employee performance is directly sent to the Employee Record to be stored. Overall company performance and individual employee performance reporting are available for reference in your account. Struggle with employees fully completing a job to the fullest? Look no further. With JM, you can create detailed cleaning instructions (viewable by via JM Connect). You can also create a to-do checklist for your employees to make sure they are properly cleaning the facility. These also can be sent via JM Connect and you can get notified when checklists are completed. Janitorial Manager offers reports to better see how efficient your cleaning company is. We have the Inspections Report, Exception Report, Threshold Report, and Quality Trend Report. You can also pull records from our scheduling feature as well as see how effective your company is being via our Company Performance Report. Want to see what invoices have been paid so far each month? 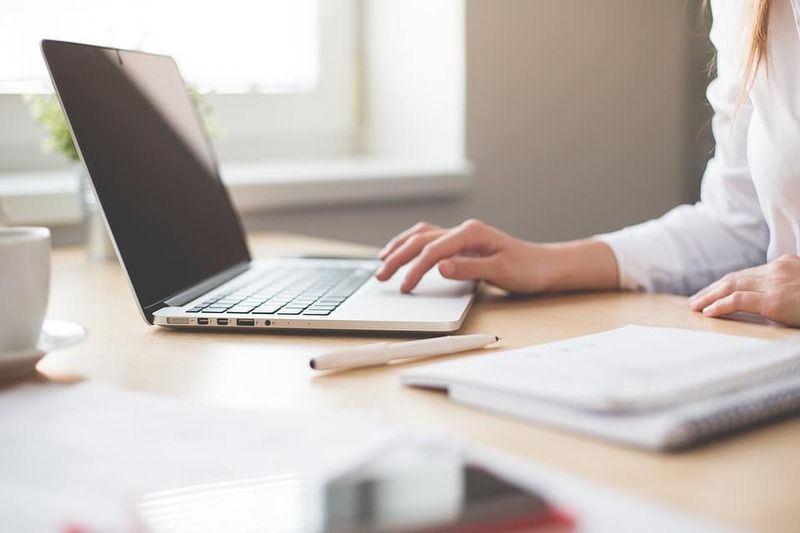 Our QuickBooks Report can help you stay on top of accounts that have paid the invoice or have not paid their invoice and will need to be sent a reminder.